Every year, in Mumbai, we march as Queer citizens of India on the first weekend after Republic Day ! To ask for constitutional rights and be recognised as equal citizens of this country. Come! Join Us! Every year, you can march with us as we celebrate all sexualities and continue our fight for a discrimination-free India. No hate, no stigma, no biases, no fear of differences – just an equal India for all. ‘Queer’ stands for all LGBTIQ (Lesbian, Gay, Bisexual, Transgender, Intersex & Queer) Individuals. This is a sexual minority group not accepted by Indian society that recognises only two genders and considers only heterosexual relationships valid. WHAT IS QUEER AZAADI MARCH ? 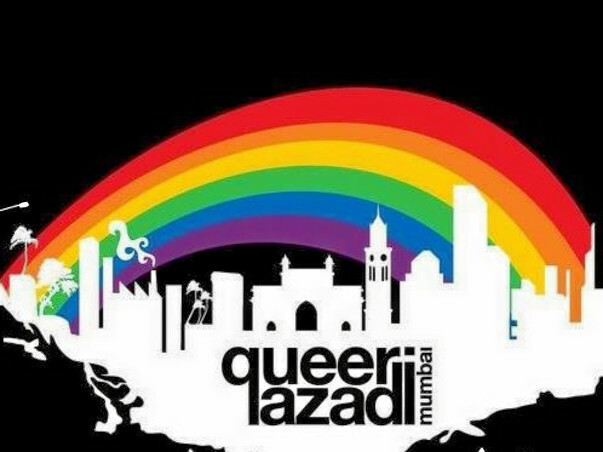 Queer Azaadi March is an expression, a voice, a celebration and a platform to ask for equal rights of LGBTIQ individuals conducted in form of an annual Pride parade in Mumbai that was initiated on August 16, 2008. WHAT WILL THE FUNDS BE USED FOR ? From 2011, QAM began conducting a week full of festivities and events in different pockets of Mumbai from movie screenings, flash mob, plays, meet-the-author to drag shows, street performances and mela and finally, the much awaited Queer Azaadi Mumbai Pride March which saw thousands of queer individuals walk to ask and assert their human rights of equality in eyes of law and society. Right from protests against insensitive depiction of queer individuals in media to organizing community events that addressed awareness issues to initiating review process for march organizing through surveys & beginning innovative fund raising initiatives, QAM has remained on forefront of many such activities through these years. The Supreme Court of India set aside the 2009 Delhi High Court judgment that decriminalized homosexuality on 11th December 2013. From now on the focus is not to lose the progress made for marginalized community. It is a challenging journey ahead and if there is someone who can help us in being a part of a truly inclusive society that looks at each individual as equal, it is YOU! Please feel free to visit https://www.facebook.com/qam.mumbaipride for latest updates. On Saturday, 28 January 2017, over 14500 people took to the streets of Mumbai to celebrate their existence and to stand up against the draconian section 377. Queer Individuals, Disabled Persons, College Students, Professors, Doctors, Future Doctors, Family Members, Friends, Corporate Houses we all present at the pride parade. An overwhelming majority were also heterosexuals who were there to support the cause of equality. here are some photos http://bit.ly/qam17set1 all these photos are clicked by QGraphy . This is a time to say thank you. We really really thank you from the bottom for our hearts for your overwhelming support. We rely on your support to bring to you a yet another pride month and a pride walk next year. 1. Contribute : please click on https://milaap.org/fundraisers/MumbaiPride2017 to donate an amount of your choice. 2. Share : Please share this link https://milaap.org/fundraisers/MumbaiPride2017 with everyone you know and request them to make a small donation. You guys have done a fantastic job !